Ingredients: Water (Aqua), Corylus Avellana (Hazel) Seed Oil, Glycerin, Stearic Acid, Cetearyl Alcohol, Ceteareth-20, Glyceryl Stearate, Rosa Canina Fruit Oil, Sesamum Indicum (Sesame) Seed Oil, Citrus Medica Limonum (Lemon) Peel Oil, Tocopherol, Phenoxyethanol, Citrus Tangerina (Tangerine) Peel Oil, Citrus Grandis (Grapefruit) Seed Extract, Triticum Vulgare (Wheat) Germ Oil, Citrus Nobilis (Mandarin Orange) Peel Oil, Disodium EDTA, Glycine Soja (Soybean) Oil, Daucus Carota Sativa (Carrot) Root Extract, Beta-Carotene, d-Limonene, Citral, Linalool. 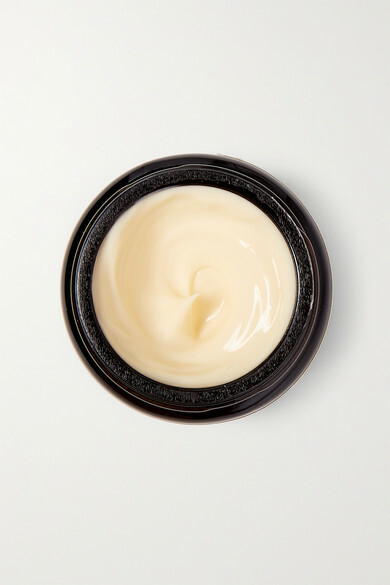 Refresh and replenish your skin with Aesop's 'Mandarin Facial Hydrating Cream.' Designed to tone and brighten, this absorbent, oil-infused formula has an invigorating citrus scent - perfect for drowsy mornings.